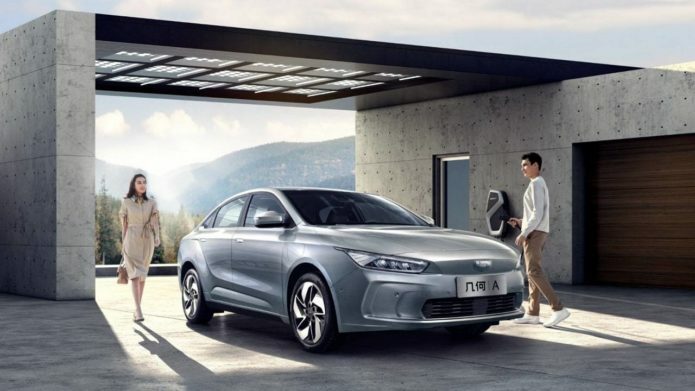 Geely has revealed its Model 3 competitor, with the Geometry A promising Tesla-style tech and range, but at a more affordable price. The Chinese automaker – and Volvo owners – revealed not only the new sedan but the new Geometry brand too in Singapore, with this only the first in an ambitious roadmap of new EVs. Indeed, by 2025, Geely expects the Geometry line-up to include ten pure-electric models. That will span everything from sedans through crossovers, SUVs, and MPVs. Each will use a letter as a name.